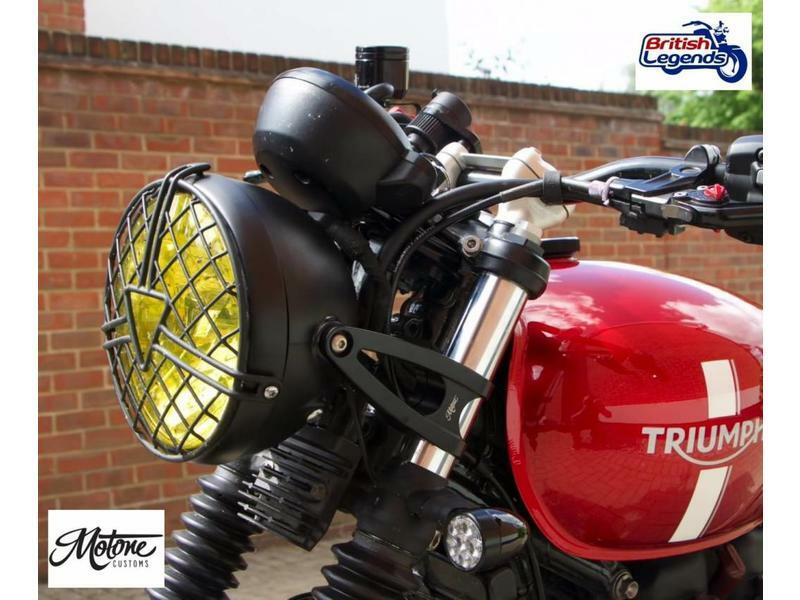 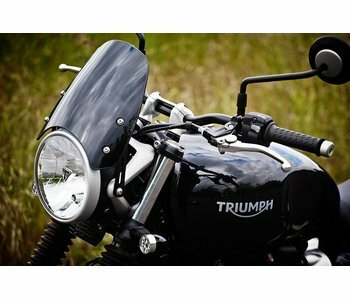 The Street Twin comes out of the factory with matt-silver headlight mounts which most people find ugly. 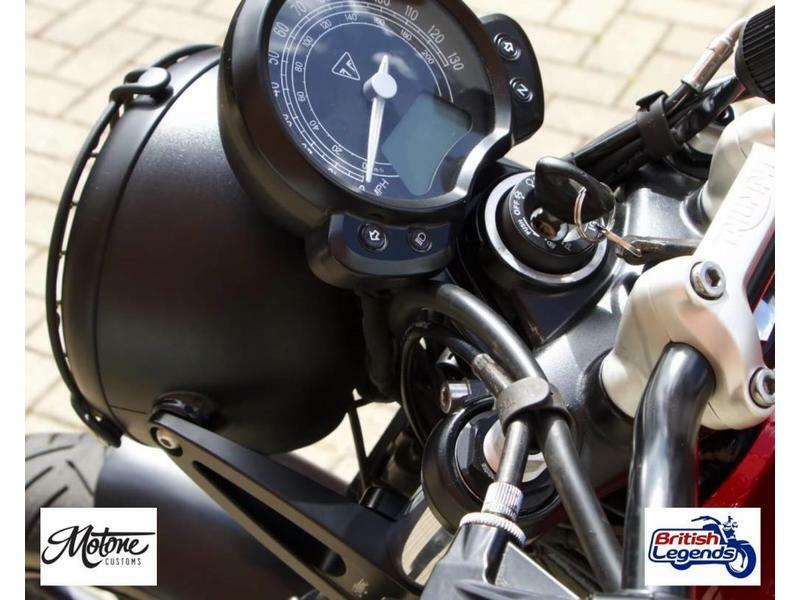 But if you want to change them (for instance for Motone's stylish brackets), the problem is that the speedometer is left hanging, because the factory headlight mounts also serve to fix the speedo in place. 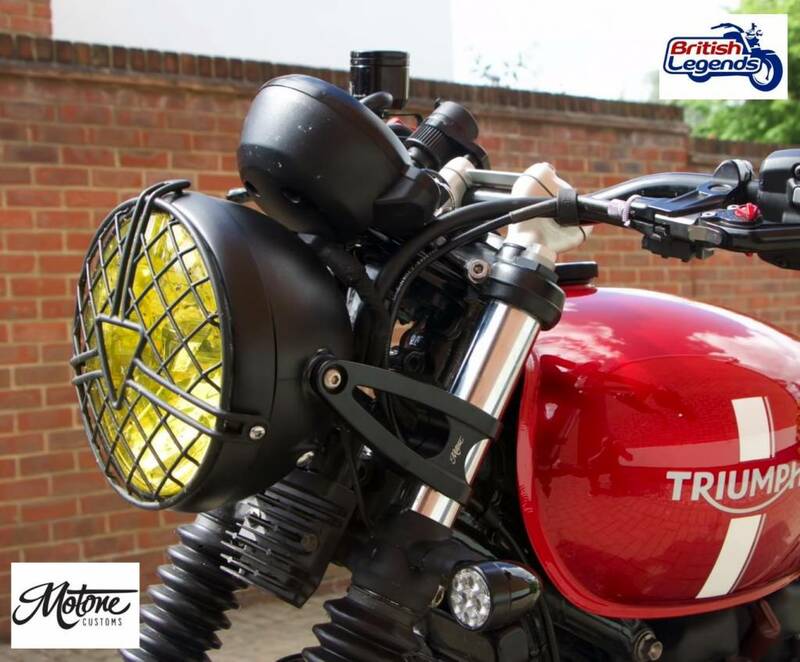 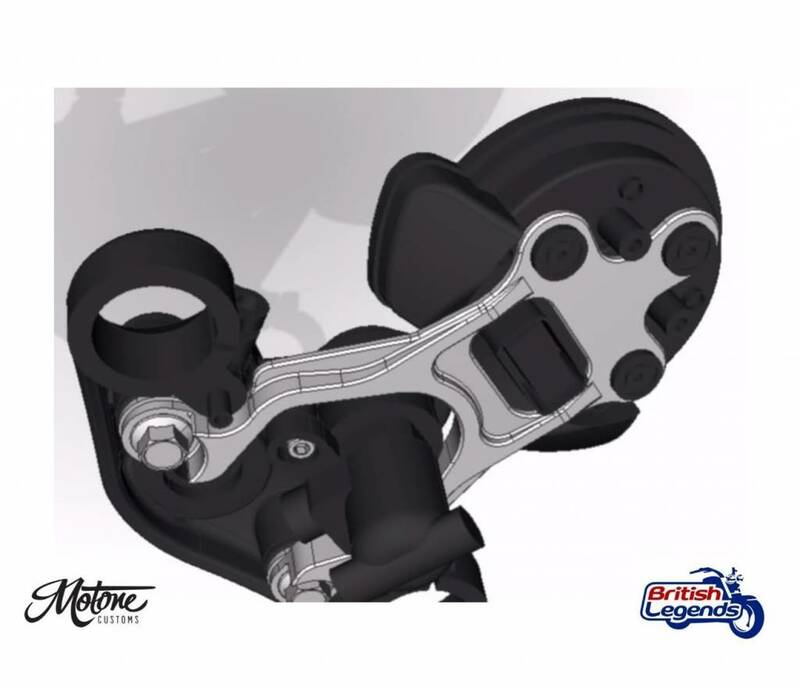 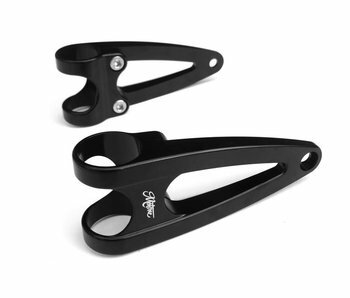 So here's the answer : a separate, strong and discreet bracket that will fix your speedo in place and lets you fit whatever headlight brackets you prefer! 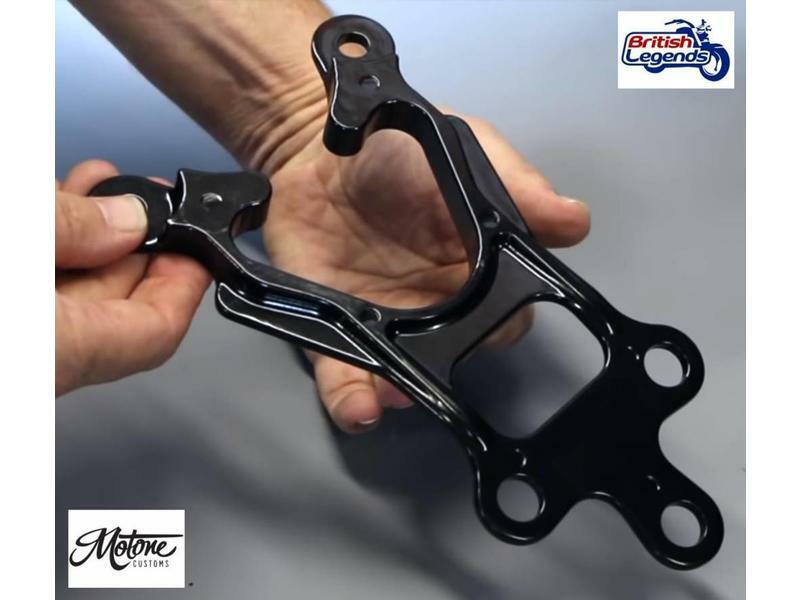 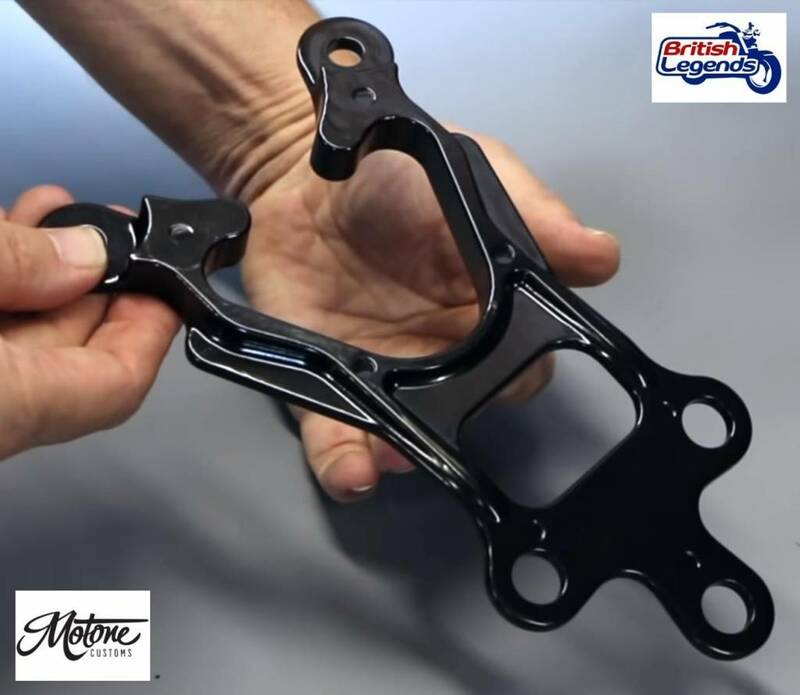 Manufactured using high pressure die casting (unlike cheap alternatives which a cut out of a steel sheet). 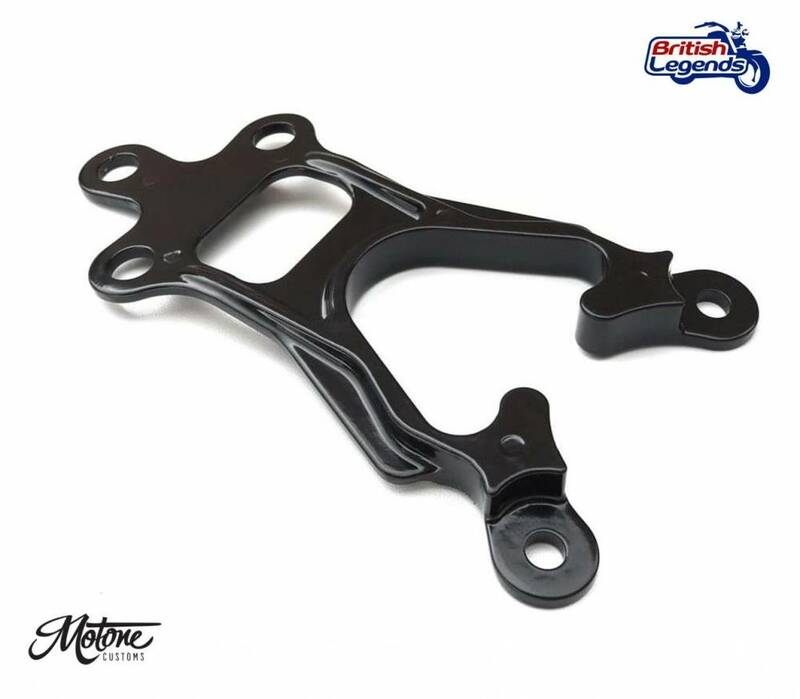 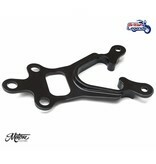 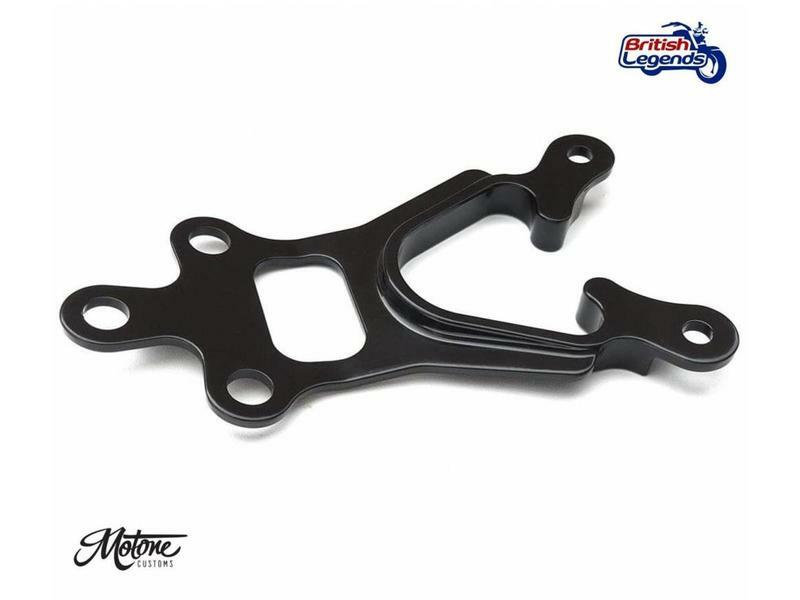 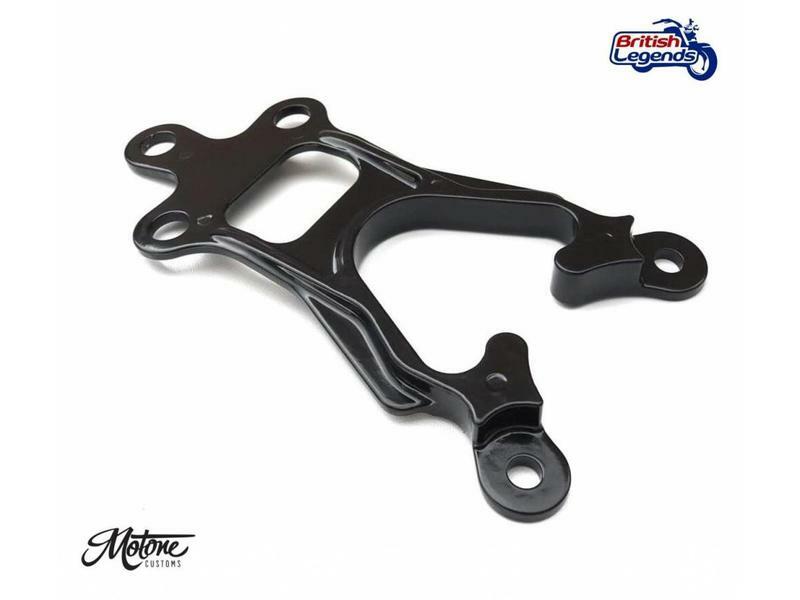 Oven-baked black paint for a perfect finish imilar to the bike's top yoke. 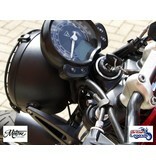 The speedo remains in the same position so all other accessories (flyscreen or other) are unaffected. 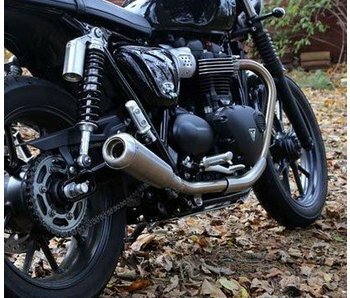 Requires no modification of the bike. 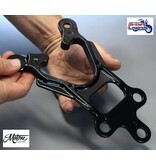 Fitment instructions: see this video. 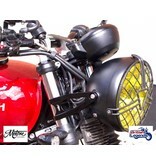 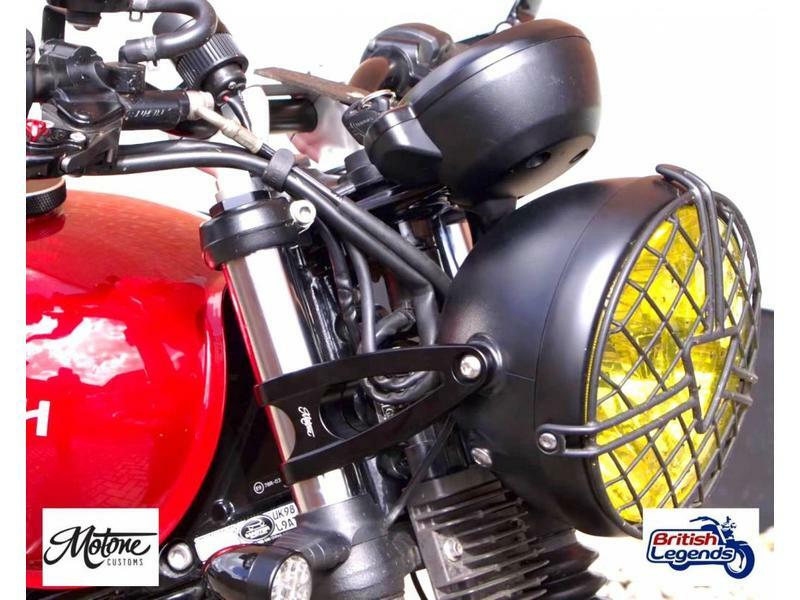 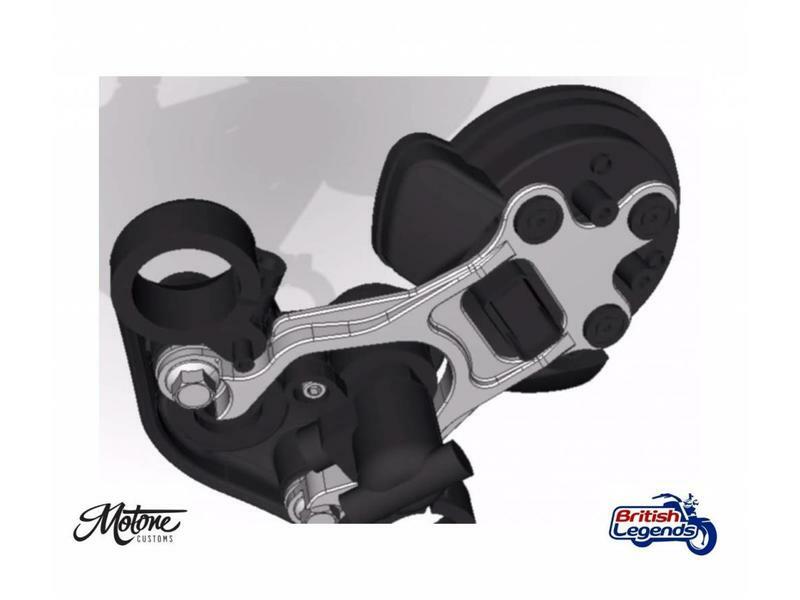 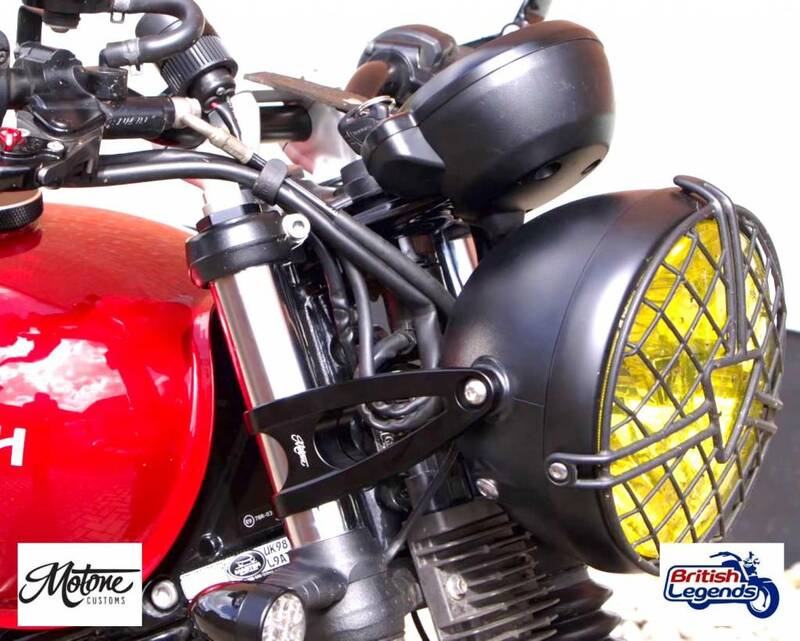 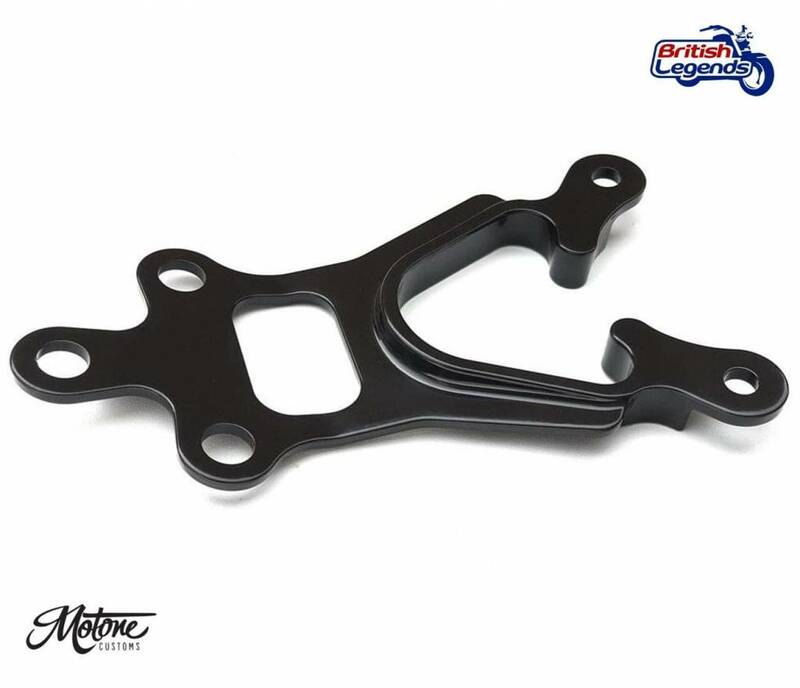 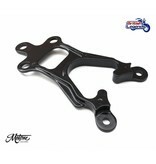 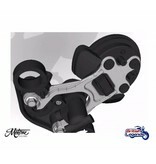 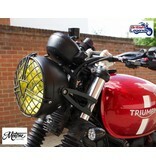 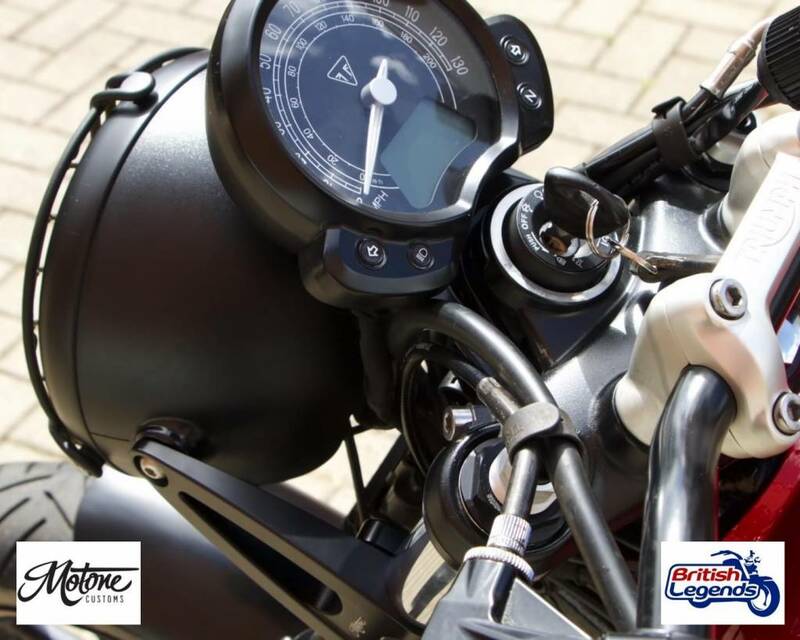 Complete kit to fit a 1 1/8" diameter handlebar on your Triumph Street Twin, Street Cup or Street Scrambler.